I am a warm, compassionate, empathic counselor, who accepts clients where they are at, without any judgment. I have a master's degree in Counseling and a doctoral degree (Ph.D) in Clinical Psychology and I am currently a Licensed Practical Clinical Counselor with a Supervisory Endorsement. (L.P.C.C.-S). I specialize in the areas of: family conflicts, relationship issues, anxiety/ depression/stress, grief and loss issues, trauma/abuse related concerns, coping with divorce, separation and healing from loss and assessment, diagnosis and treatment of mental health concerns. I also have extensive experience in helping clients with anger/ aggression concerns, developing coping skills and tools to positively manage stress and anxiety, establishing an effective and strength based work/life balance, single parenting and co-parenting,strategies as well as empowering clients to improve self esteem and make healthy, positive lifestyle choices. I utilize a variety of theoretical approaches such as, Cognitive Behavioral Therapy (CBT) as well as Dialectical Behavioral Therapy (DBT), Strength Based/Solution Focused Therapies, as well as Mindfulness techniques to meet the unique and individual needs of my clients. I have worked in the private practice and the community mental health setting for over 20 years. I am here and waiting to help you on your path and journey to happiness and well being. Take care and I hope to speak with you soon. I am available via message, phone or text and have very flexible hours to meet your needs. It has been a rough year for me and I have been feeling pretty lost. In the short time I have been working with Dr. McCune she has helped me find my way back to my path again. I am so grateful! Wow! Dr. McCune is so generous with her time. She also checks in and makes sure I'm doing ok. Very non judgmental but also pushing me gently forward. Thank you. Dr.McCune is a lovely and professional counselor. She wholeheartedly listen to people’s need and offer a comfort to people. I highly recommend her. Dr. McCune has been a wonderful counselor. She has always taken the time to understand any issues presented and is nimble with her responses. I highly recommend her. Dr. McCune has been wonderful so far. I’ve been really stuck in a rut lately and knew I needed to get back into counselling, and I’m glad I was connected with her. She understands my needs and my diagnoses and has been a huge support for me. She’s exactly what I needed! Thank you Dr. McCune! I like Dr. McCune because she is kind, a good listener and funny. She suggest things to try to help guide me through certain rough patches and all in all she is a great counselor. I was concerned about on-line counseling. I need not have been. I have been to in-person counseling in the past, and I find this to be more valuable in some ways. This has been a wonderful experience so far. Dr. McCune has been a great support of my particular needs. 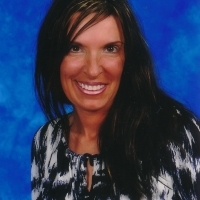 She has been available for written-online counsel as well as telephone counseling. What I like the most about this type of counseling is that you have real-time communication and response. I can relay to Dr. McCune how I am feeling as I am feeling it through this online forum. This gives her real-time insight into the true issues I am having, as opposed to trying to relay these issues/concerns to a counselor once per week, filtered by time and my memory of the events. I am very impressed by this counseling forum. Dr. McCune is absolutely wonderful. She is present, focused, professional and has made such a big difference in my life. She meets me where I am at and brings me through to healthier perspectives that have improved my life. Highly recommended!! She is very professional. Always available and eager to help. She is giving me insightful advice, asking me the right questions and allowing me to feel confident about myself. She is a godsend. I am 30 and have been through more therapists than you could count. Julie is the FIRST one to really commit to me, help me, understand me. She is so intelligent and professional. I learn from her too. She is absolutely fantastic and I would highly recommend her. Dr. McCune has truly been a lifesaver for me! Literally a lifesaver! I do not know what I would have done without her or how I would have made it through my difficult time without her help! I have seen quite a few therapists but Dr. McCune has truly been the best. She is very personable, listens to and addresses All my concerns, and gives me a variety of coping skills and advice. She is very kind and knowledgeable and does not sugar coat anything. She always responds in a timely manner and even checks up on me randomly and throughout the week! She is also always able to fit me into her schedule for a live chat session, which has been very helpful and beneficial. I believe I have made great progress already, and the advice and help she gives me are things I can use during Any tough time and things I can always reflect back on. I often find myself reflecting back on conversations we've had whenever I am down and remembering what she told me and it helps! I highly recommend Dr. McCune and am grateful for her help and support. Thanks to her and BetterHelp for helping get through my difficult time! Dr. McCune is FANTASTIC. She has a way to combine strong support/guidance with sensitivity and compassion. Her voice has become the "Good Angel" that pops up on my shoulder to combat the "Demon of Anger" that shows up occasionally. And those occasions have become fewer and further between with the coaching she has provided. I would recommend her services to anyone. Dr. McCune offers a balanced and sensible approach to counseling. She is practical, considers all aspects of a situation and helps you to find solutions that are right for you. She's generous with her time, proactive in making contact and flexible to suit you. She's made a real difference to me. I have come so far in four months! With previous diagnosis of PTSD, depression and anxiety, I didn’t think anyone would understand. I’m a firefighter and the kind of trauma I have experienced is unique. Julie not only discovered I was undiagnosed ADHD, she worked directly with my school to get me the accommodations i need. I look forward to working with her more! I finally feel like I have someone to talk to who understands. Dr. McCune is amazing and the most thoughtful and intuitive counselor I have run into. She has been amazing with helping counsel me through my divorce and large cross country move. She is always spot on with her counseling and so interested in me and my issues. She’s amazing and I highly recommend. Dr. McCune has been amazing! She is quick to respond to my messages and really takes the time to write out thoughtful responses that take on board everything that I have expressed to her. It truly feels like she wants to help those she works with get to a better place in their life! She is empathetic and understanding. She tries to give me tools to be successful in solving my issues. Julie has been there for me with compassion, humor, encouragement, and well-needed doses of reality. She has been flexible with my weird schedule (I'm located overseas). I highly recommend her! Before starting with Dr. McCune and Better Help I was a mess of uncontrollable emotion. I was over reactive, explosive and volitle with my interactions with others. Since then, Dr. McCune has been patient, understanding, validating and most importantly essential to helping me manage how I feel. She taught me that my emotions are valid and there are ways to reframe negative thoughts and feelings while maintaining healthier interactions for myself and with my partner. I am so thankful for Dr. McCune because where I was headed was very unhealthy and while I am not anywhere near where I would like to be, knowing she is there helps me overcome the toughest days. Dr. McCune has been very helpful and accessible every day. I appreciate all of her help. I would recommend her. A great and rounded counsellor. Good at leading me to draw conclusions and very experienced in life. Julie and I have worked together for six months. In that time she has helped me face the issues that I came to counseling for, and as more issues arose in my life, she was patient and always there to help me through them. I'm always excited to share with her when things are going well too! I know that when I finish counseling I will be much better off, but I will surely miss her. Julie is a great counselor. She's been very supportive and easy to talk to. She's the first counselor I've ever seen that I can relate to and that's saying a lot. I'd recommend her to anyone. And if/when I come back to betterhelp she's my first choice. Very helpful. She understands what the root of the issue is and patiently works with you toward reaching a better place in your life. Dr. McCune manages to put words to thoughts/feelings I've struggled with for years. I was floored at how quickly she was able to understand what I was experiencing and curate a proactive plan towards my development. I feel like her advice is always personally encouraging and never from a place of recycled phrases, as I felt with my previous (external) counsellor. She always checks in if it's been a couple days of silence and makes me look forward to sharing rather than dreading the thought of opening up. Thank you for all your support! Dr. McCune has been dedicated to my care even as my time has run short. I haven’t been responding in a timely manner, yet she keeps at it. That is encouraging for me. Thanks. I am happy with her. Love Dr. McCune she is has a lot of knowledge and love that she give worksheets. Dr. McCune is really positive and helpful. She is good at helping me see another perspective of a situation in a very kind way. I definitely recommend her. I would really like to thank Dr.McCune for all the help and guidance that she provided over past few weeks. When I started off with my counselling with her I was in a bad state of mind and couldn't think through my problems because I felt I had too many issues at hand. She helped me to prioritise them and asked me specific questions which led me to think about the soutions to these problems. I was not expecting to reach this good state so early in my counselling. I'm glad I took this step of seeking counselling. This is everything you’d want in a counselor. She is kind and considerate. She is efficient and goal-orientated. She is a great listener. She helps but does not make you feel bad about past choices. Even in a short period of time I have learned a lot about myself and how to help myself. Thank you, Dr. McCune. To any of her future clients: you got lucky. So did I! I really really appreciate her helping me talk through my situations!! I really enjoy Dr. McCune. She has helped me and still is helping me to feel better about who I am. Dr. McCune is fantastic. She is thoughtful and to the point. She has gone above and beyond what I expected from online counseling by offering worksheets, conference calls and by checking in with me after a periods of silence on my side. Highly recommend. I have been in therapy for twenty years with dozens of therapists accross four countries. I am also a life coach. I have had only one session with Dr. McCune, but with her unmatched patience and warmth, I feel she helped me gain deep insight into my issues to an extent that would have otherwise taken many weeks! Her great expertise as a therapist, and her own life experiences from which she draws a wealth of wisdom are obvious. I left the session with gained confidence, optimism an enthusiasm, ready to tackle a difficult abusive marriage that I have been in for thirteen years. Thank you from the bottom of my heart! It is people like you who really make a difference in people's lives! Dr. McCune has been very helpful with stressful situations that I am experiencing. She responds quickly and I have participated in live chat sessions that were amazing. She is good and provides activities to help you with your issues. Very helpful and understanding, gave valuable support. I had counseling with Julie over a short period of time, but she has helped me a great deal. She was always very supportive and offered advice that will stay with me for a long time. I would 100% recommend her to a friend, or anyone, who is seeking counseling. Its not always easy to come forward with your own personal problems, but Julie made me feel comfortable and like I was talking to a friend. Thank you again Julie. Dr. McCune always responds in a timely manner and addresses all issues. She is the best! Dr. McCune is very warm and has brought down from crazy anxiety ridden moments. I like that she is compassionate and listens to what I have to say. She offers strategy when dealing with things, even when I'm just being a whiner. I would definitely say she knows what she is talking about, I wish I could be a better listener because I think I could just focus on what she is saying I would do much better. Most of my problems are anger and she has definitely helped with that. Dr. McCune has been instrumental in helping me tackle this past year of major life transitions and loss. She is caring, thoughtful and insightful. She's shown a genuine concern for me and my well being all throughout my healing process. Dr. McCune is a compassionate listener and I would recommend her to anyone. Thank you Dr. McCune for your time, your help, and your wisdom. Dr. McCune has been incredibly supportive, present and helpful through a difficult and transitional period in my life. She has shown great empathy and experience, and has offered effective, proactive solutions that we could try and tweak as we go along to improve and resolve several challenging situations. Thank you! Highly recommended. Dr. McCune has been fantastic. She has been very empathetically and patiently guiding me through a very difficult transition in my life. She's been asking all the right questions to get me to really examine what I want and what I need to do to move forward. I would highly recommend her! She has helped a great deal just to have someone to vent and talk to. She is a wonderful person and I don't know what I would do without her to talk to. A good listener - and insightful. Speaks with authority, in clear and concise language. She encourages you to unfold yourself - and you do not feel embarrassed or threatened in revealing thoughts left unspoken for decades. In peeling away layer after layer of self, she gently introduces you to - not so much a new self, a new you - but a new way of looking at that old self. And what could be better? Dr. McCune has been extremely helpful! She is very positive and has guided me to become a much better version of myself. She is there whenever you need her. She truly has been a huge help!! Dr. McCune is amazing! I am very grateful to have her as my therapist. She has went above and beyond with helping me through a difficult time. She fully listens to what I say, is kind yet honest with her advice (which is what I really needed) and she does not take long to write back to my messages. I also like and appreciate how she checks up on me to see how I am doing. Her advice and help have really impacted me positively; many things she has told me and heradvice are things I can use in the future whenever I go through a hard time, which is what I was looking for in counseling: results and positive changes. I highly recommend her! Dr. McCune is helping me to work through some serious relationship issues that are affecting my whole life. I appreciate her insights, support and thought-provoking questions. Dr. McCune answers promptly and asks very helpful questions. She makes me feel better about myself. Dr McCune is positive and helpful! She has good insights into both my situation and into helping me determine how to move forward. Her perspective has helped me frame how I think of recent events in a way that feels healthier than the self- recriminating mindset I was in. She is prompt in her responses and I am grateful to her and Better Help! Would you like to write a review for Dr. McCune? We'd appreciate if you can spend a couple of minutes to write a short review for Dr. McCune (M.A., Ph.D., L.P.C.C.-S.). This review would be shared with Dr. McCune. It may also be posted in our website or in Dr. McCune's profile but it would be anonymous and your identity would be kept completely confidential.